My teddy loves holiday music too! “It’s the most wonderful time of the year! “ Did you sing this phrase in your head? - If you did, it demonstrated the power of music in your life!! Few things set the tone for Christmas and Hanukkah like holiday music. Music physically triggers happy emotions and brings back magical memories – the glow of candle lights, the smell of fresh cut pine and Grandma’s special cookies she only made at Christmas time. 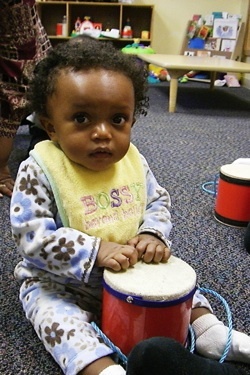 make it a family affair…share music together! 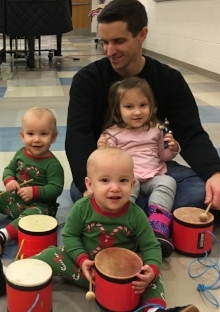 · Teaching “Jingle Bells” to a new class of little ones at WeJoySing. It’s not too late to add to your list of Holiday Musical Memories by enrolling in our HOLIDAY SESSION!!! These traditions will never fade away, even as our families grow and change. Nostalgia is HUGE! 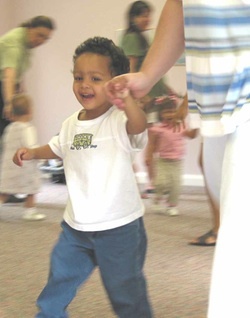 Kids remember these special times fondly even as they are grown adults, and these memories are easily brought back by a simple song, because of the way the brain stores music: FOREVER! 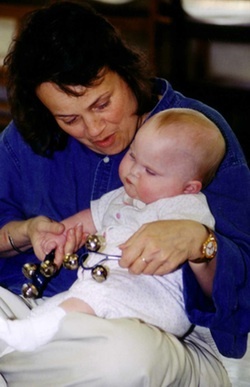 I have my Bells…do you have yours? Traditional Holiday songs are powerful because they’re among the last remnants of what used to be common practice: the passing down of oral tradition. So, what will you pass down to your children? What were your favorite Christmas, Hanukkah and Holiday traditions growing up? Will you continue to keep them alive? Grab some jingle bells, break out the Christmas, Hanukkah and Holiday music and make some new memories today! 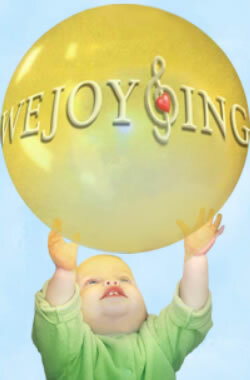 And remember, it isn’t too late to sign up for WeJoySing’s HOLIDAY SESSION to add to your Holiday Music Memories!! !